Illustrator aficionados are always on the lookout for techniques, tips, and tricks to enhance their design skills. If you want to improve your Illustrator skills and become a better graphic designer, check out the following 10 new and free Illustrator tutorials for February 2013. Give your weather forecast a cool (or hot) look with these colorful sketched weather icons. This Illustrator tutorial shows you how. Superman fans will love this tutorial that shows you how to design a wicked cool Man Of Steel icon. I’d love to see the Batman and Spider-Man icons designed with the same techniques. Use Illustrator’s cutting-edge design technology to create a retro-looking badge. This step-by-step Illustrator tutorial shows you how. Learn how to design some sweet bubblegum buttons in this tutorial. Use Illustrator to draw and color a vector floral background, perfect for websites, flyers, posters and other designs. Illustrator newbies will appreciate this bare bones tutorial that shows them how to use the program’s most basic – yet powerful – features to create a tree design. Show, don’t tell, seems to be the theme of this stylish Illustrator case study. The author doesn’t tell you how the created this illustration; instead, he shows you a frame each step of the way so you can figure it out for yourself. It’s a powerful way to learn Illustrator. This tutorial walks you through the process of designing a search engine homepage, complete with custom icons. You’ll use both Illustrator and Photoshop in this tutorial. 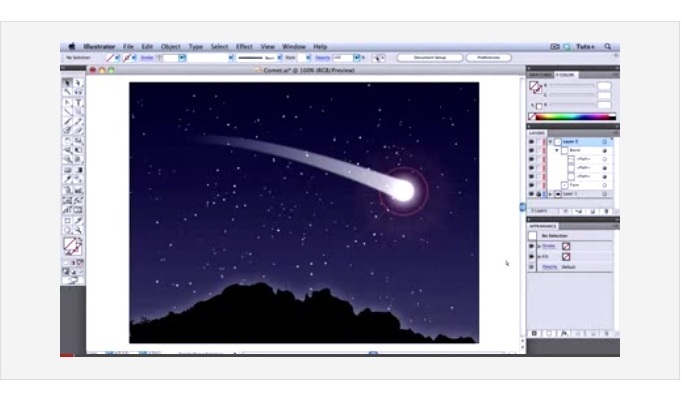 This tutorial shows you how to create a comet using the blend tool and blurs. 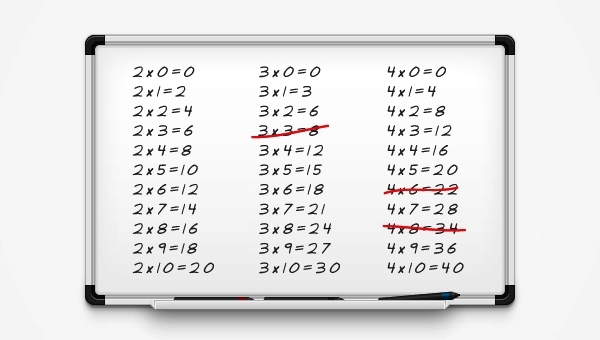 Learn how to create a marker board illustration, which would serve as a unique yet compelling comparison marketing tool for web headers, brochures and posters.